Today’s featured home is a fabulous, investment opportunity in Willowdale. 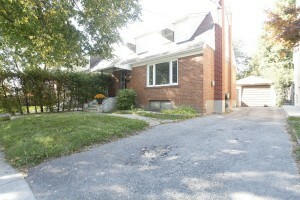 This charming 1.5 storey home is one of the lowest priced detached homes in the area. The perfect property for investment or live in and enjoy! The floor plan features great sized principal rooms, hardwood floors thru out, modern updated kitchen, updated baths and most windows and a high dry finished basement with large above grade windows and separate entrance. Great income potential! The grand finale is the huge private yard with large deck off the kitchen and the superb location just 1/2 block in from Yonge Street and just minutes to transit/subway. Although there has been some reports in the media that real estate sales are slowing the very desirable areas such as Willowdale have continued to be quite active. Good homes with good locations continue to sell within 2-3 weeks on average.